Christians from all of Watford’s churches are invited to join together each week for an hour of prayer for our town. During 2018 we will be prayer walking in each of the 12 wards of Watford. We see this as a very significant way of blessing our neighbourhoods by physically spreading our prayer around the town. 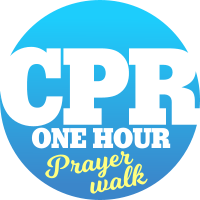 The venue listed is the meeting place where we will gather at 8pm to begin our hour of prayer. Should there be inclement weather there will always be the option of praying somewhere dry, so don’t be put off by a bad forecast! A lead church is assigned to facilitate the prayer, often a church from another part of town. This expresses our heart as Christians Across Watford to pray as one church in and for town.